You are now on “the other side” of the 11/11 Stargate Energies. You can feel the momentum of excitement that is building. The oppressive energy is leaving the Planet. Much is transpiring – not all being seen or witnessed. So much is happening behind the scenes. All that is unfolding is moving Humanity towards the ultimate goal of Freedom. Dear Ones you have dreamed of these times. NOW is the time for ALL Humanity to rise up. YOU are Creator Beings who gave away your power to the dark forces, believing it was for your betterment. Now it is time to take back the POWER that you ARE – each in your own way. You can feel the atmosphere around you moving in a completely new direction. Hope is being returned to your vocabulary. 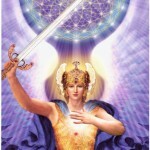 You are witnessing the greatest of times and you are the Beings returning the Divine Light to Planet Earth once again. 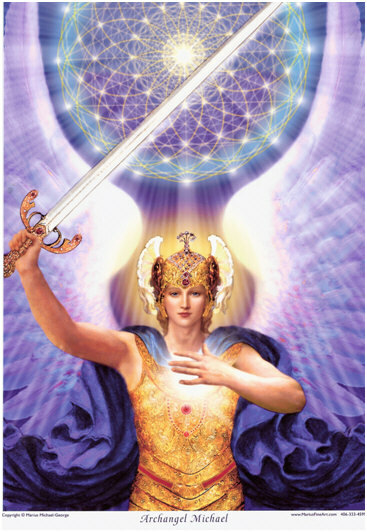 We applaud you Dear Ones for what it has taken for you to rise up, take back your power and awaken from the nightmare, that you have lived for eons of time. Never again Dear Hearts – now you begin the journey back to WHOLENESS. The healing has begun and it is massive. Over these next few years you will witness Healing on a scale unimaginable. The “gifts” you have always possessed but had “forgotten” are now being reignited in your awareness. The young souls birthing onto the Planet at this moment in time have returned specifically to assist you. They do not come with the “baggage” you have carried for lifetimes. They come with their “LIGHT” shining brightly and they cannot and will not – be ignored. You each have abilities that are to be reinstated and reignited within you. Ageless information and technologies are about to once again “flood” your awareness as the amnesia lifts. You will be astounded with what floods back into your memories. Many of you have LOST much of your old memories and we tell you Dear Ones – do not despair – nothing is lost – what has gone is no longer required. Completely new neural pathways are being created and your ability to move forward in a miraculous new direction is just out in front of you. Much of what no longer serves you, has been eliminated. So many more awarenesses and abilities are being seeded within your new memory banks. captured by the dark forces long ago. Hold the LIGHT high – stand in your power and reach out to those who will be “shocked and saddened” by what is unfolding. This purge of the darkness is totally necessary so the old can make way for the Divine New Earth that is being birthed. Remember you came for this “moment in time” and Dear Ones that is, all it is. These times will unfold rapidly and in NO time you will forget about what has played out because you will ALL be celebrating the Birth of the New Earth and the New YOU. So much excitement is shared in the Higher Realms as we watch in awe what is unfolding. We remind you, You are the Greatest of Angels to EVER walk Planet Earth and in the very near future you will remember this TRUTH. All TRUTHS must now step forward – there will be no more hiding in the shadows – All Secrets must be revealed and the slate wiped clean, for the birth of all you have ever dreamed, to become your new reality. Hold this Mantra in your Intention. You are manifesting it with every thought you have and every breathe you take. You are Creators Dear Ones, and your creations are unfolding in rapid succession. YOUR I AM PRESENCE is enfolding you and supporting you in ways you will soon begin to understand and appreciate. All TRUTHS shall be revealed unto you. Just imagine Dear Hearts, when the TRUTH of who YOU ARE is returned to you! Oh, Dear Ones, we long for this time when you once again, after eons of time in the wilderness YOU see the TRUTH of your DIVINITY and embrace the true LIGHT YOU ARE. Such significant times await YOU and your fellow Beings – those you term “bad” and those you term “good” were all just playing a part. Now is the time to acknowledge this and with humility know there was a time when it was YOU who played the role of the “bad ones” in your sojourns. How would you wish to be acknowledged? Offer your hand in forgiveness and bring ALL Beings back to the Glory of the LIGHT. The return to ONENESS is upon you. It was always your goal and it will be ACHIEVED because of YOU.